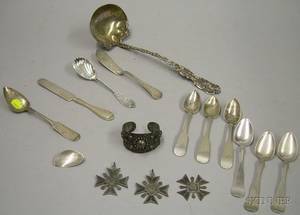 Maryland coin silver flatware to include examples by E. Brown, R&A Campbell, A.E. 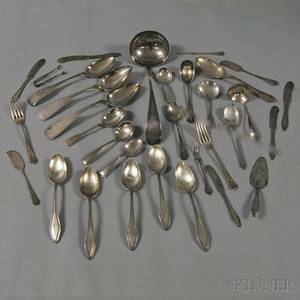 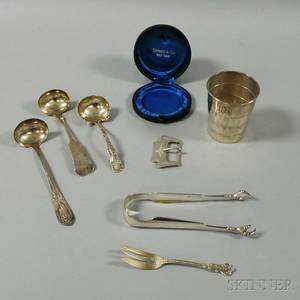 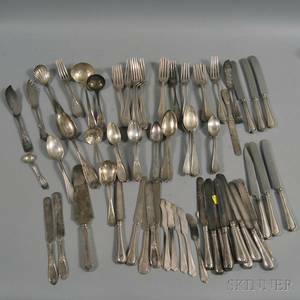 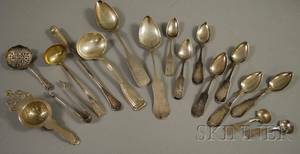 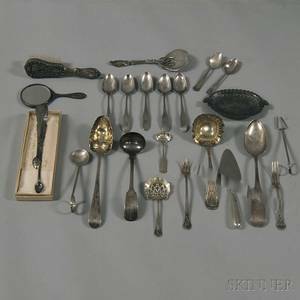 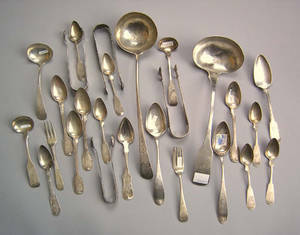 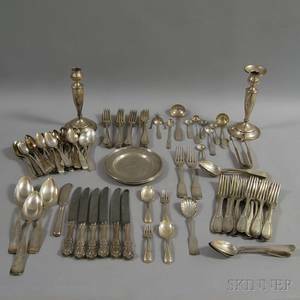 Warner, etc., 36 pcs., together with 2 ladles with unknown makers marks, approx. 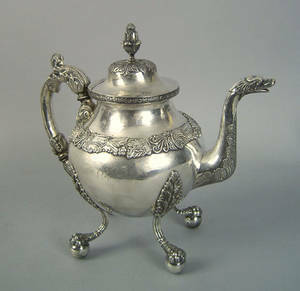 46.4 troy oz.